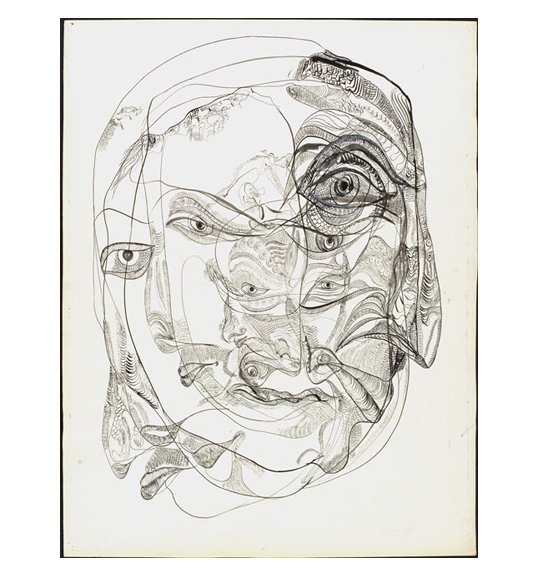 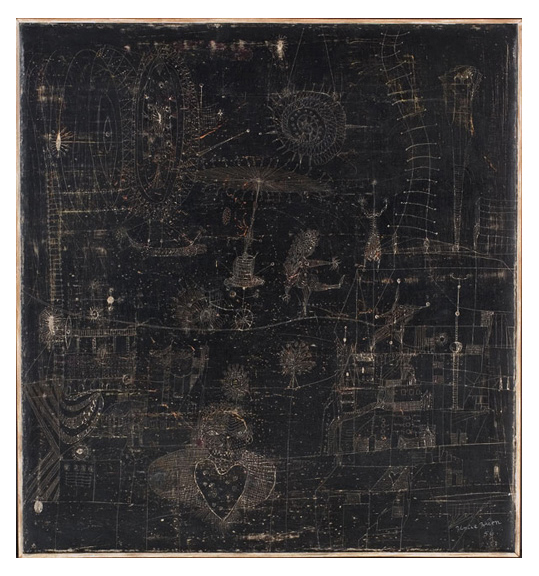 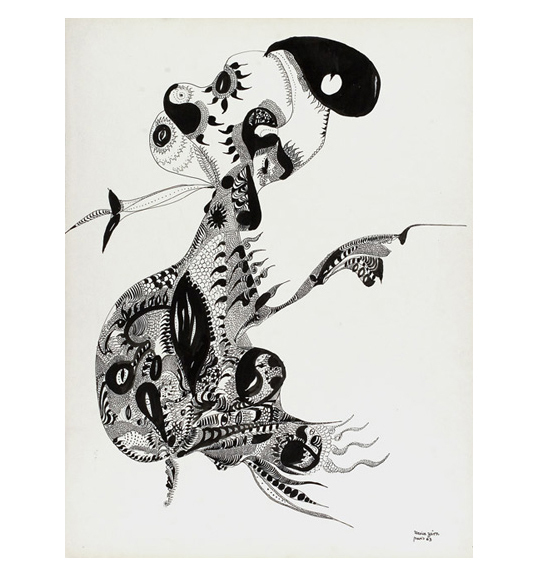 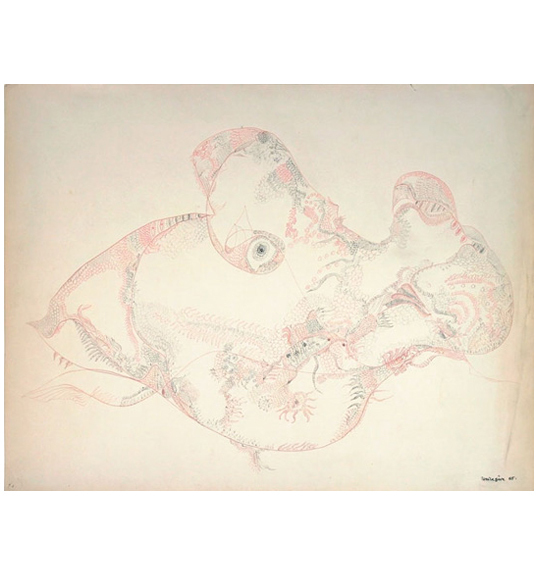 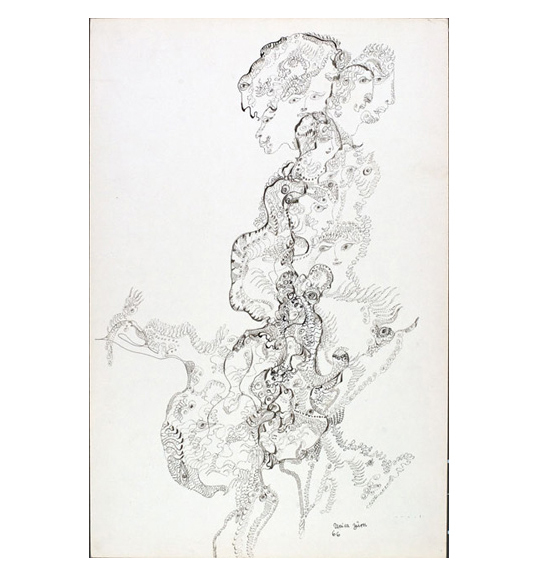 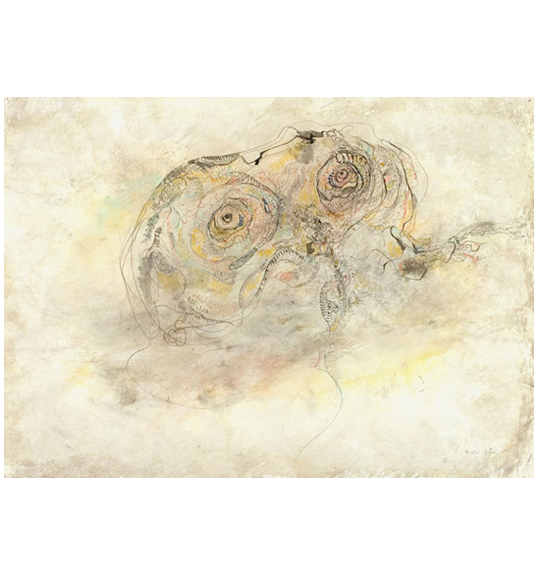 Ubu Gallery presented Unica Zürn Twelve Drawings + Two Paintings, an exhibition of recently acquired works by the tormented and visionary German author and artist. 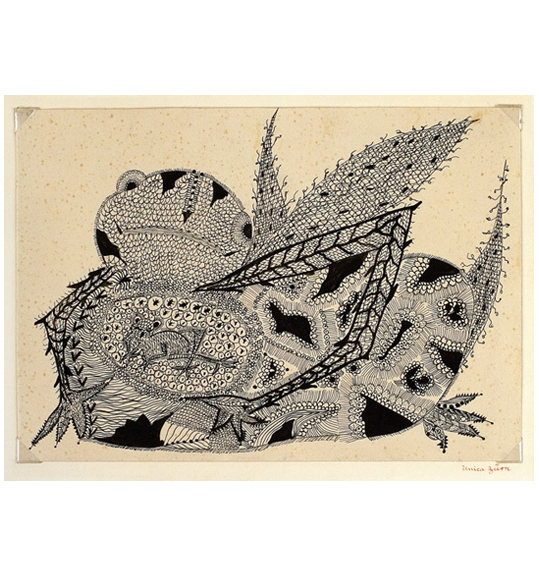 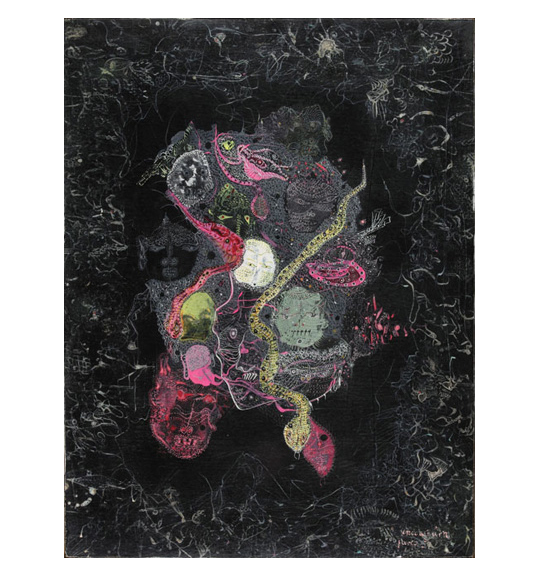 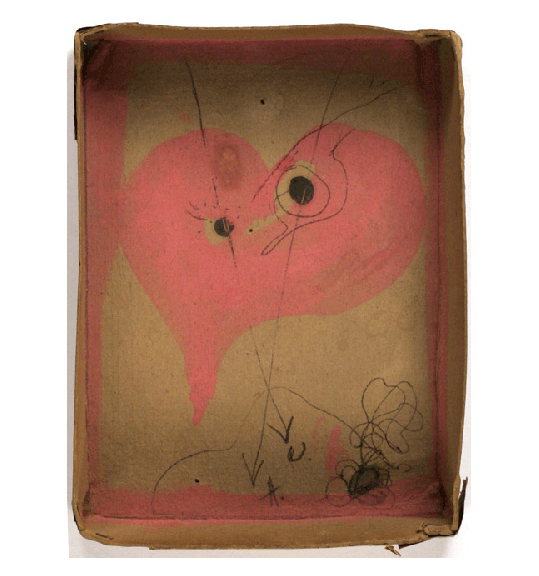 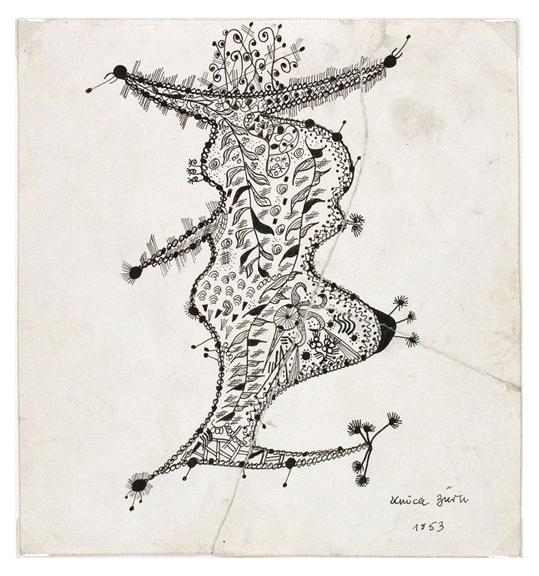 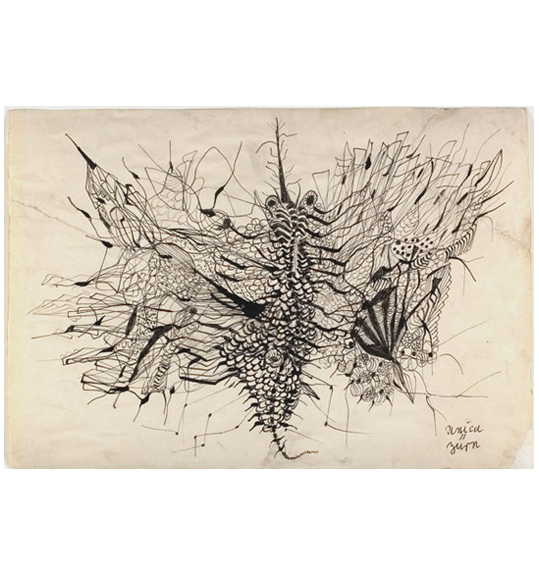 Born in Berlin on July 6, 1916, Unica Zürn grew up surrounded by exotic, ephemeral objects collected by her father, a cavalry officer stationed in Africa. 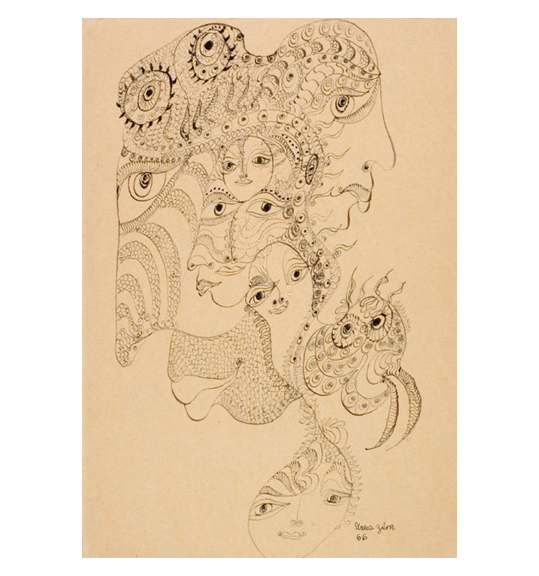 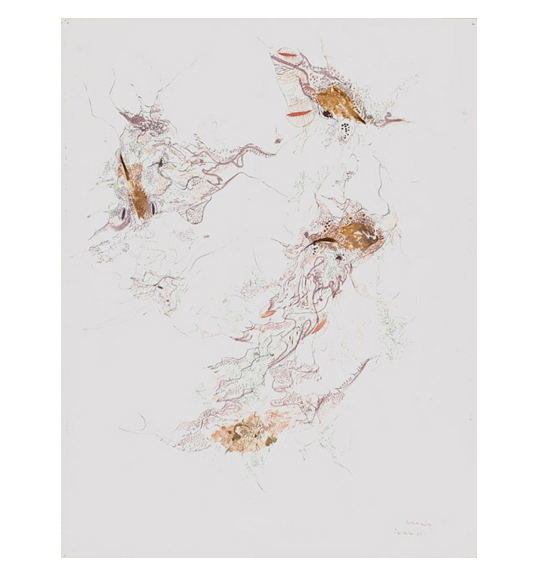 Inspired perhaps in part by her father’s gifts from afar and a longing for greater contact with him, Zürn developed a rich fantasy life and a vivid imagination. 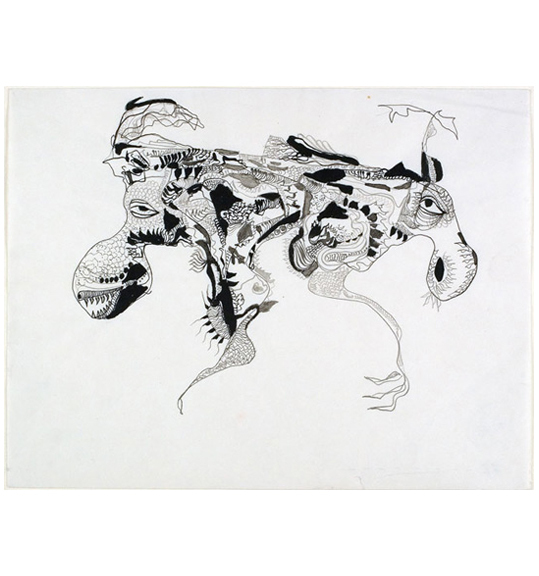 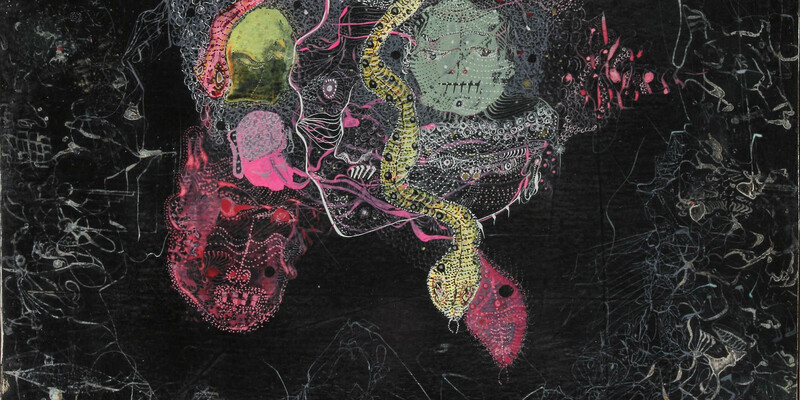 This is evidenced in her dense, otherworldly drawings of fantastical creatures meticulously constructed out of finely rendered, obsessively repetitive shapes and lines.